Having a hard time deciding on the perfect gift for dad? EDGERTON FLORAL & GARDEN CENTER can help! Send dad a artistically crafted floral tribute to show him how much you care. Perhaps your dad is the type that would prefer a gift basket filled with his favorite snacks! Whether your dad lives in Edgerton, or clear across the country, we've got you covered! Sometimes the best way to show your boss just how much you appreciate their fine leadership is by sending flowers. 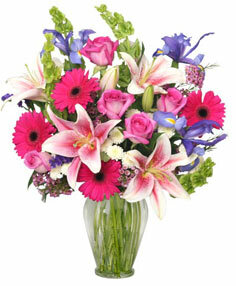 With a National Boss Day gift of flowers from EDGERTON FLORAL & GARDEN CENTER, your boss will know exactly how you feel. Everyone wants a raise. Raise your boss's spirits this Boss Day with one of the many colorful flower arrangements from EDGERTON FLORAL & GARDEN CENTER in Edgerton, WI. Halloween brings out the kid (and 'spook') in all of us with jack-o'-lanterns, trick-or-treating, and lots of Halloween activities to enjoy. Your local florist, EDGERTON FLORAL & GARDEN CENTER of Edgerton, is a great place to start for creative suggestions on Halloween flowers, party decorations, and haunted houses. Let us suggest some Halloween party flower ideas for kids, and maybe even a few tips grownup 'ghouls' will like too! Give your Halloween festivities a 'frightfully' fantastic look and feel with colorful flowers and fun Halloween floral decor from EDGERTON FLORAL & GARDEN CENTER. Roses are always a great, classic way to say 'I love you' while a bouquet of your loved one's favorite flowers is always perfect on Valentines Day. Sending roses is always a special occasion. 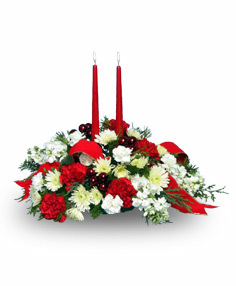 Let EDGERTON FLORAL & GARDEN CENTER help you send this traditional romantic gift. They are also a one of the most popular and recognized flowers in the world. No matter who you want to send flowers to, roses are a perfect choice. Send red roses for romance, white roses for respect, and yellow roses for friendship. 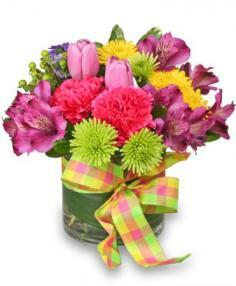 Whatever rose you choose to send, EDGERTON FLORAL & GARDEN CENTER in Edgerton can help you!